The Price Rotary Senior Center is located in Westover Park behind the Community Activities Center. 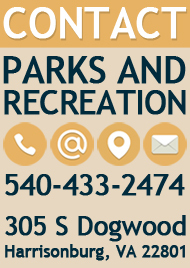 This facility is owned and maintained by the Harrisonburg Parks and Recreation. Usage of this facility includes many of our 50 and Wiser programs.